Kingdom-focused ministries demonstrate a keen ability to look beyond their own plights, plans, and programs. They see God working out his big-picture plan on a much grander scale. Competition isn’t on their radar, and when another church or assembly needs a hand, they don’t hesitate to help. Sparse growth, little involvement with each other, and diminishing hope had characterized the Georgia Fellowship of the Church of God in recent years, but kingdom-focused ministries weren’t far away. Eager to see God on the move once again in the Peach State, Church of God Ministries, Florida Ministries, and Illinois Ministries have reached out with love, generosity, and a challenge to embrace a bold turnaround. Photo: Joy was a common theme at Georgia Fellowship’s Camp Meeting! One of those great resources has been Handel Smith. 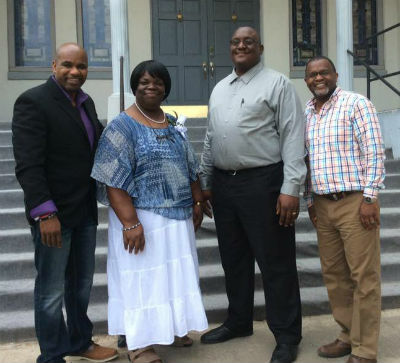 The chief domestic officer of Church of God Ministries has offered his experience and insight as transitional regional interim pastor for Georgia Fellowship. He’s serving as a bridge of sorts between the past and an exciting future, as an opportunity to move from anxiety to expectation of what the next leader will bring. In the meantime, Church of God Ministries is providing resources like Be Bold Academy and Leadership Focus to equip and strengthen the functions of the regional office. The same is true for Florida Church of God Ministries. They’re offering insight already making a difference through shared experiences like a gathering that took place in late September. 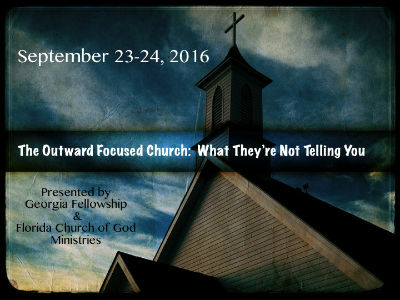 From September 23 through the 24th, Florida Church of God Ministries partnered with Georgia Fellowship to host “The Outward-Focused Church: What They’re Not Telling You.” Servant Solutions and Warner Press also contributed to the experience. It was more than just an effort to spur the thinking of Georgia pastors toward community involvement and evangelism. It was also an opportunity to put into practice what the Church of God says it believes about unity! 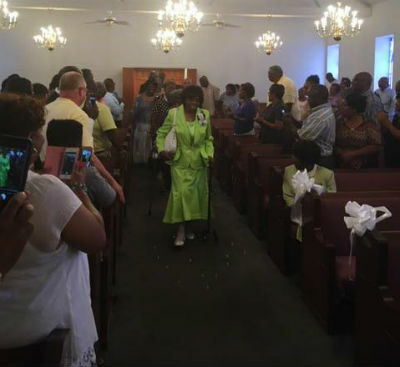 For two days, two separate regions of the Church of God worked together for the same cause. There was no mandate to do this; they nevertheless felt compelled by the Spirit to do more than just talk about unity. Ken Love of Florida Ministries is also making himself available for continued input as an advisory board member for Georgia, and Illinois Ministries’ Eric Livingston is leveraging his knowledge and skills as a close adviser. Georgia is pleased to have Eric on board, not only for his kingdom mentality and heart, but also for his experience giving new life and direction to Illinois’ Camp Warren. A strategic plan has been laid out. Measurable goals have been set. Felt needs—by the pastors—are being met. Missional clusters of pastors are forming weekly to implement strategies learned at the September gathering. Similar happenings are taking the Northern California region by storm. Look for updates down the road on what God is doing there. This entry was posted in All Church of God, Leadership Development, Southeast and tagged Church of God Ministries, Domestic Team, Eric Livingston, experiential unity, Florida Church of God Ministries, functional unity, Georgia Fellowship, Handel Smith, Illinois Ministries, Jason McClendon, Ken Love, partnership, revitalization, turnaround. Bookmark the permalink.